A most gnarly adventure in comedy absurdity. Behold bodacious stuff and righteous characters. Join us, and discover... Something Rad. Mitch Socia and Matt Penridge, the minds behind Alexander Hamilton: Fully Loaded, the off-Broadway sensation [you probably never heard of], present a new show that is as bold as it is audacious [we shouldn't have let them write this description.] It's one part surreal, one part sketch comedy, one part music, one part Mr. Roger's neighborhood, and then more parts of other totally cool stuff. 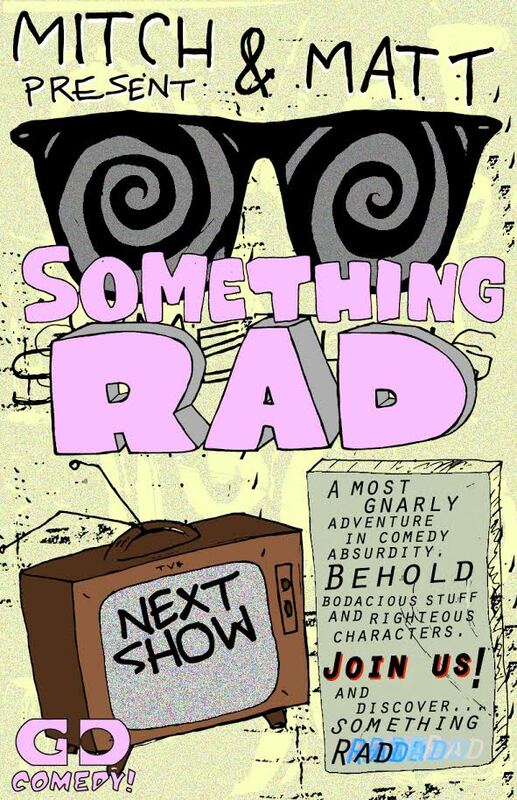 Something Rad isn't just a title, it's a show.